Quick question - What is this Treecko? 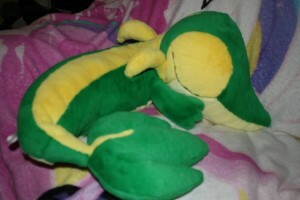 Does anyone have any information about this treecko - Is it a pokedoll or a separate Pokemon Center plush? Also I haven't really seen any information about what items are actually in this 10th anniversary promotion (all I know is it happened in 2008). Can anyone fill me in? Seeking custom plush + update on my collection! Haven't really had much replies for my last post, but I'm still seeking custom plush that are already made, and that are for sale. Except, this time, it doesnt have to be large. Interested in all types, just let me know with what you have, regardless!!!! Anyway, more pictures under the cut, including my own custom made giant Dragonair. Anyway, you guys have a lovely weekend! Looking for CARDS and things. I'm looking for good deals on booster packs of individual cards from the Team Rocket, Gym Heroes and Gym Challenge sets! Also, checking up for magikarp items and doing my periodic check for any sandshrew or darumaka items I may have missed. c: Thannnks. Thanks to my new snuggle buddy! I bought her in a lot on ebay and didn't intend to keep her (I was set on getting the Tepig one instead), but I have fallen in love. She is so well made, and ultra soft (sooo much softness- I can't even...). I tried to keep her up on my shelf to keep her in mint condition, but I just couldn't resist taking her down for a hug every ten minutes. I am quite bummed that sleeping with it will probably ruin the material, but its just so dang huggable. 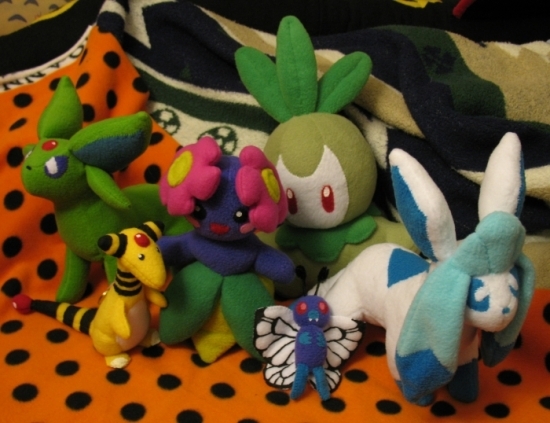 I am looking for the Tepig and Oshawott New Years plush to complete the set. Perhaps one of you lovely community folk would be willing to trade/sell me them? I am looking to spend about 60-90 + shipping on each (depending on the condition). Or I have lots of wonderful stuff to trade too. Please comment below if you have one/both of these! EDIT: I would prefer if someone in the US has it for sale, to save on shipping. I found them both for 100$ each plus shipping from japan, so it would be much better if you live in the US. Reminder! Auction Ending Today! Canvas Plush and More! Just a reminder that my auction is ending today at 6 PM PST! 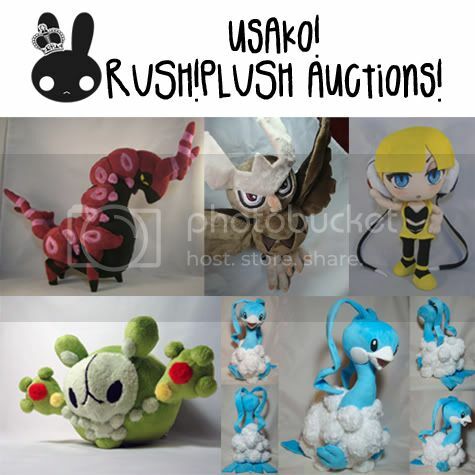 Hey doooooooooooooooods!~ Got some rush!plush available! When exactly is a group auction or group buy considered "finished"? I'm used to a fandom without a limit on how many are running at once, so it's never been something I've had to think about before. Is it simply once the seller's shipped all parcels? Or is it only once buyers start to receive their items? And if it is the first one, would that be compromised by the seller and a buyer agreeing to pay/ship at a later time? Depending on how all that works out, I may be looking for a co-host for a small keychain lot. Mostly answered, I think~ I'll wait to go after it if it relists, just to be sure. Any of the items listed at the top of my sales page would be loved, too. i don't know if i'm the only one wondering about this but here i go! i know there hasn't been a release date announced yet, but i'm wondering if these sets usually make it to the US. Sales update, Perler Customs, and more! Long time no see everyone! Pikapals GA - I am expecting arrival this week of our huge box, then I will post pictures of all those awesome plush. Below you will find my current wants, as well as a custom Perler Zorua I made and am taking offers on. I have just recently gotten sales permission, and since I'm not prepared to sell my extra merch and such quite yet, I'll start with the custom pins that I make. 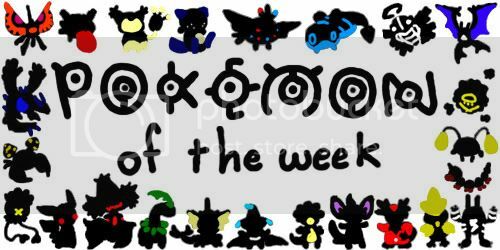 And this week's Pokemon is!!! #608, Lampent!!! It WAS a ghost type!!! This of course includes Litwick and Chandelure too! How cool is this?! For the week of Halloween a ghost pokemon was actually rolled! Hooray!! Post your items, collections and stories!! 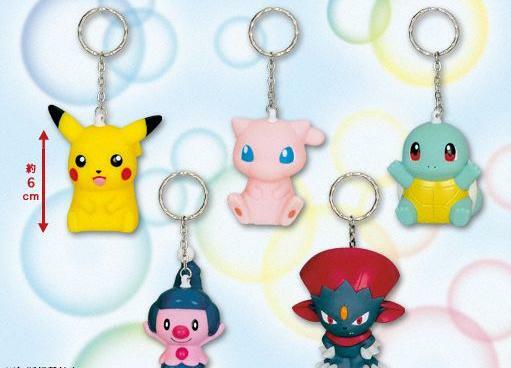 Let's make this post the most pokelamp-knowledgeable merch post ever! Hi everybody! I'm new to this community, having joined only recently. I have been reading the posts here and watching the group and it feels like a great place to be. 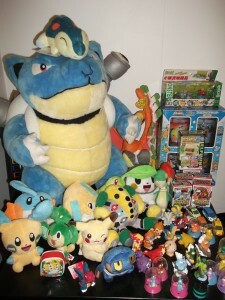 It's nice to see so many Pokemon fans coming together to share their collections. I'm glad you can post wishlists as there seems to be many people here who can find what you are looking for. It's good you can sell stuff too because if there's anything anyone no longer wants, it's almost certain somebody else out there will. I'm from the UK, though I'm currently in Japan on an exchange. I'm living in Osaka at the moment. I like Japanese mythology, history and culture as well as Japanese pop culture and media. I'm a big anime and manga fan and love RPGs, especially JRPGs (Japanese RPGs) and fantasy RPGs. I also like foreign languages, music, films and fiction books. My hobbies include singing in different languages, writing and reading stories/fanfiction and making AMVs. I have been a fan of Pokemon since it first started in the nineties. 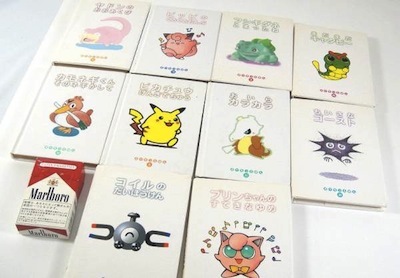 I grew up watching the first Pokemon anime series. My favourite kind of Pokemon are equine (or at least appear somewhat similar) because horses are my favourite animals. I like Ponyta, Rapidash, Girafarig, Blitzle, Zebstrika and Keldeo. However, my favourite Pokemon overall are the first two. My favourite starter Pokemon are Charmander, Chikorita, Torchic, Chimchar, Piplup, Tepig and Oshawott. I also like Eevee and its evolutions, my favourite being Vaporeon. As for legendary Pokemon, my favourites from more or less each generation are Articuno, Lugia, Suicune, Latias, Dialga, Reshiram and Keldeo. 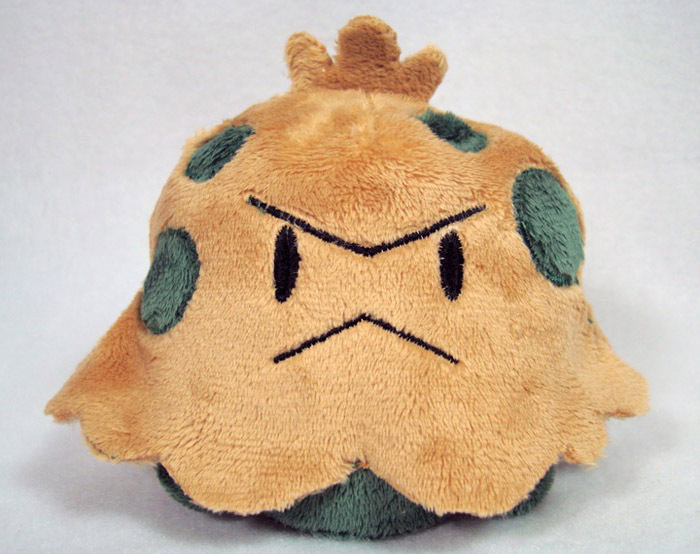 The Pokemon Center in Osaka is selling Takara Tomy plushies of Eeeve and its evolutions right now. I managed to some plushes but there were quite a few which were sold out. I know these were released just yesterday but I'm afraid I may not be able to go back to the Pokemon Center before these plushes are gone. Does anyone know how long these will be out? I'm after Vaporeon, Umbreon, Leafeon, Glaceon and Eevee. Dice and Other Things GA - Payment 2!!! A little note to tenshihikaru86: The puzzle is going to be shipped fully assembled as that is how it came to me and it will be put in a large flat mailer with bubble wrap. I think it will be OK like this, but if you would prefer it disassembled, please let me know! Spreadsheet can be viewed here! Please pay the proper amount in the highlighted column. Payment goes to nagainekowanagai[@]gmail[dot]com. PLEASE PLEASE PLEASE put "Dice GA Payment 2 - [username]" IN BOTH THE TITLE AND MEMO OF YOUR PAYMENT. Many people ignored this last time! Let me know if you guys have any special shipping requests or questions! :3 And again, thank you guys for your participation and congrats to us for another successful GA! 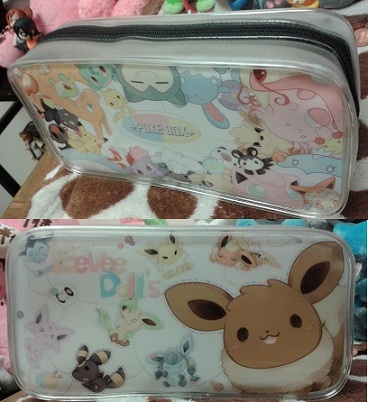 Just a reminder that I'm still taking offers on my Pokebox Eeveelution items! I stop taking offers Monday at 11 pm EST! If anyone can help thankyou very much! Also, I recently went to pound world and found a whole box of dialga series zukans - I got 5 but 3 are for christmas but 1 I bought and 1 I was allowed to have now ( there good for stocking fillers) In the one I bought and my first ever zukan was ........ 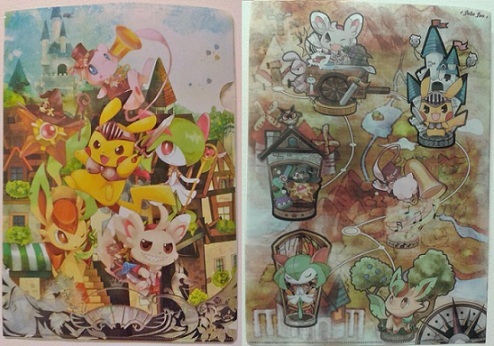 The Leafeon/Glaceon/Eevee zukan! :D Hows that for my first ever zukan! And in the other one I got the adorable Buneary/Lopunny zukan! I was so happy to get such cute zukans and having eevee and family as a zukan (eeveelutions are my fav pokes)! 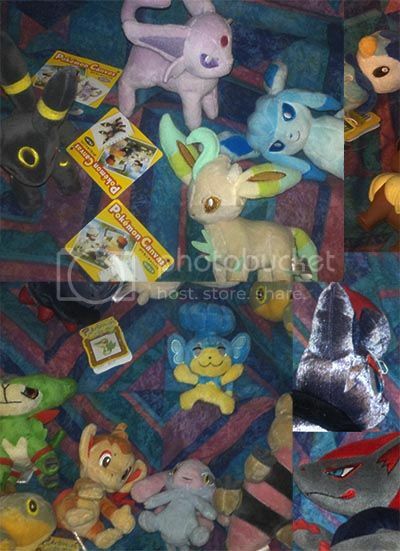 Hey all I just got sales permission from allinia and thought I'd try it all out, I have mostly plush for sale and a couple of zukans. more will be added over the next few weeks so keep an eye out! also can anyone help me with the identification of this Eevee, My boyfriends got him a while ago and we have not been sure what he is. more pics under the cut. WHEN can I post? Get your entries in by November 24th!!! You have one month to post your entry to the community. WHY should I enter? Because it is fun for everyone!!! 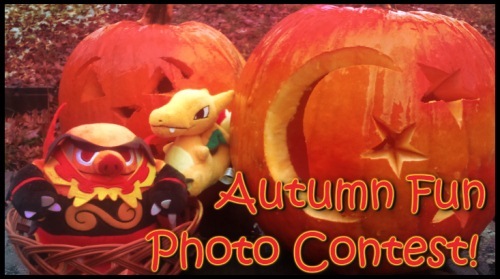 The best photos will also be recognized; the top three entries will be displayed on the community profile! Additional prize(s) will be determined at a later date. Isn't that exciting? Winners will be determined through a community poll! Please make photo entries 500px across so that it can be seen outside an LJ cut. 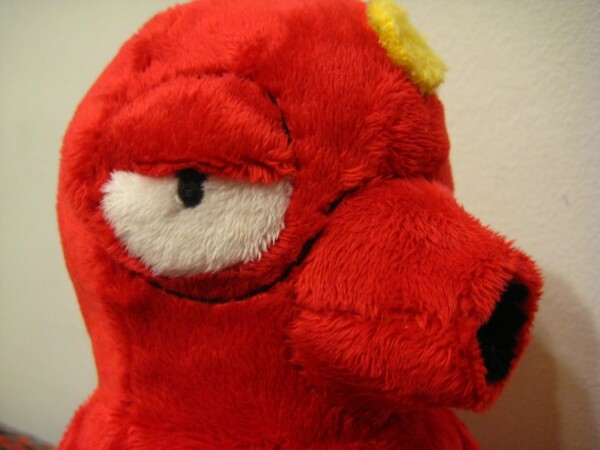 You can use custom made Pokemon, but don't make a custom item just for this contest. After all, itt is a photo contest, not an art contest! If you have any other questions, feel free to comment here! 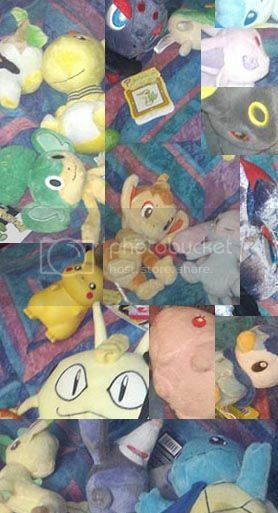 Any Skitty plush that you might have. Hope everyone's having a good weekend. And for those up north where the hurricane is, be safe! Hello Brave Pokemon collectors! 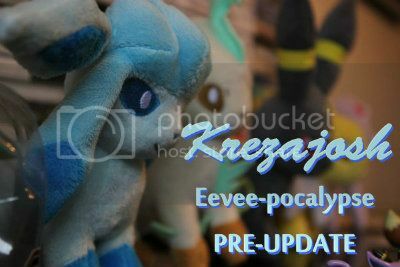 As I'm sure all of you are aware, Banepresto , Takara Tomy, and The Pokemon Center (Which I have just recently been made aware of their participation) have decided to make A massive wave of Eeveelution items ranging from plush to other items.In some cases, it may have already stated. I of course plan to invest well over several hundred dollars worth of some of this stuff. My collection will explode from awesome, but my wallet might die of starvation. I thought it would be cool to show my Eeveelutions related merch before the impending "Eeveepocalypse". Plus most of my other Pokemon items are in storage, so this is what I got. Well I am Sleepyslowpoke; a 20-something from Canada, and have been a major Pokemon fan since the Red/Blue era. I have been collecting Pokemon items over the years since elementry, but I have not been more formally into the idea of collecting Pokemon merchandise till recently. Since I have moved out of my parents, and to another province I don't have my childhood items, as well as most of my TCG collection, and my Kid collection. I ended up collecting a decent amount of Kids since they were cheap, cute and very easy to get a Asian supermarkets. My favorite Pokemon is (not)surprisingly Slowbro, and Slowpoke, but I have a pretty dainty collection of the cute little guys. Other Pokemon I am a fan of and intrested in collecting are Monferno, Infernape, Aria Moletta, Ditto, and the Treeko line. I don't have too much of a focus but I do like plushes, Zukans, and kids. More Pics under the cut. The Wonderful Powers of a Great Friend and Oxi Clean!!! Today was a busy day today, since I hand washed everyone of my pokemon plush today.I have also gotten a few things in the past couple days! Everythings below the cut. Last call for bids on these auctions! They all end at 8pm EST today, which is in about fifteen minutes! Several of the kids are still at their starting price or haven't been bid on at all. Click the pictures to go to the auctions! An unexpected get appears...in front of my car? Back from Japan! Sales Update + Little Get! I have almost finished organizing my gets and other things (shouldn't go into details since quite a lot of them are non-pokemon related lol), so you know what it means... SALES UPDATE! So I was able to convince my brother to switch rooms with me so I could have the bigger room. With this room came SHELF SPACE!!!!! So now my pokemon (which were multiplying out of control) have more space. Yay! It was supposed to go be ordered pokemon I collecet on the left and eveything else on the right corner... but Togepi snuck into the middle of everything and I can't seem to tell him to move. Hey everyone! i've been working on my collection site again! After it being closed for ages. I've been working specifically on my Pokemon sections, so far i've done my Hitmonlee/Chan, Cyndaquil Line, Sawk & Throh & Lt.Surge Collections. My Terrakion Collection & Satoshi collection haven't been started as of yet, so please ignore them. The Cyndaquil section also needs to be finished (Its missing flats & TCG) But please check it out ^^ & Let me know what you think! If you have any questions about specific items just ask, like for wants lists, origins that kind of thing! I'm happy to be getting back into the swing of things after a rather crappy year! The Dot Sprite figure! But i also need the Tin, Strap, Clearfile and most other stuff, i only have the Charm! Also is anyone a member of MFC? I'd like to add people on there too.. it's a great way to see other tastes! 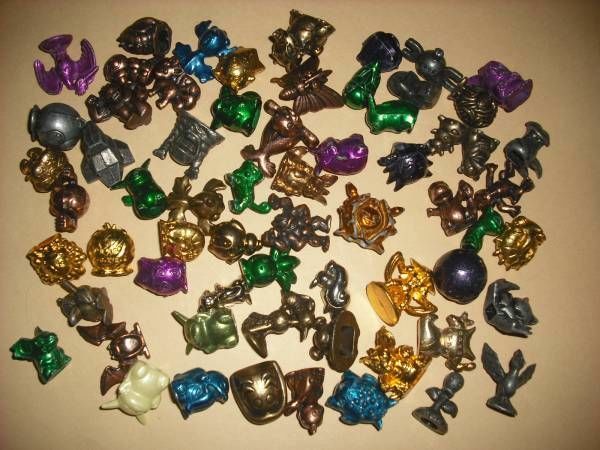 I just wanted to make a post for all who participated in the A-lot of Metal Figures GA. Unfortunately, we did not win the lot. It was just bad communication, and my co-host did not get my text to notify them of how much we raise to place the bid. It must have been my phone or network, and I am so so sorry for that. I am terribly sorry for not notifying sooner, my co-host had to evacuate due to the hurricane warning. Communication has been difficult because of the hurricane, and I finally reached them today. Thank you to all who participated, and I am so sorry! I hope you find the ones you where after again soon. I just got sales permission a couple days ago and I wanted to do custom plush for comm members. I was wondering, how should I price them? I really have no idea what a good range would be...and prices seem to be all over the map. They would all be minky (some of my pics here aren't), unless another fabric were to be requested. I know I have to take into account the cost of the materials, but what about labor cost for say, a 6-12" plush? I'm also torn between whether to do auctions/offers for slots or to just do straight sale/first come, first serve dealios. I was considering auctions bc then more ppl would be able to see the post, but then the price has the potential to go up really fast (I still would like them to be affordable). However, if I did straight sale, then whoever happened to see the posts first would have a better chance of securing a slot. Or I could alternate between each type haha. I guess the most important question would be: are you interested in commissioning me at all? Hey folks - a new member of the plastic family arrived and I wanted to show him off! As always, I'm looking to purchase Retsuden Stamps and these figures! PSS - Does anyone know how I could contact moolerb? I have a message for them but it looks like they aren't active on the comm any more, so I was wondering if there was another way I could touch base with them.